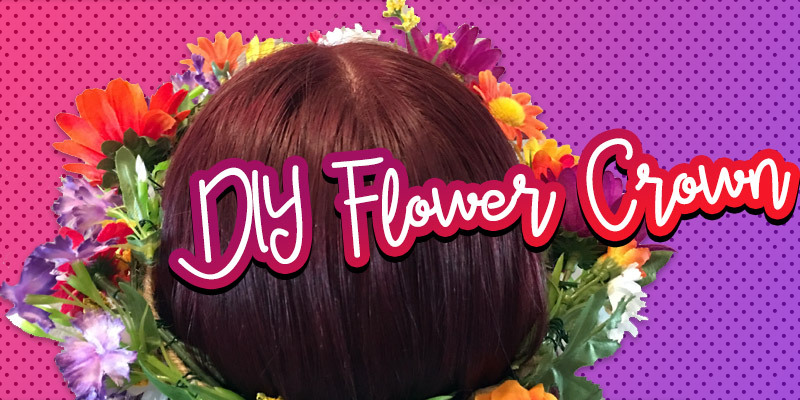 DIY Flower Crown | YAYOMG! Flower crowns and floral halos are all the rage right now, and you can buy them at pretty much every store these days. It’s super easy and usually pretty cheap to drop a few bucks on one, but what if you can’t find one that matches your mood or your look? 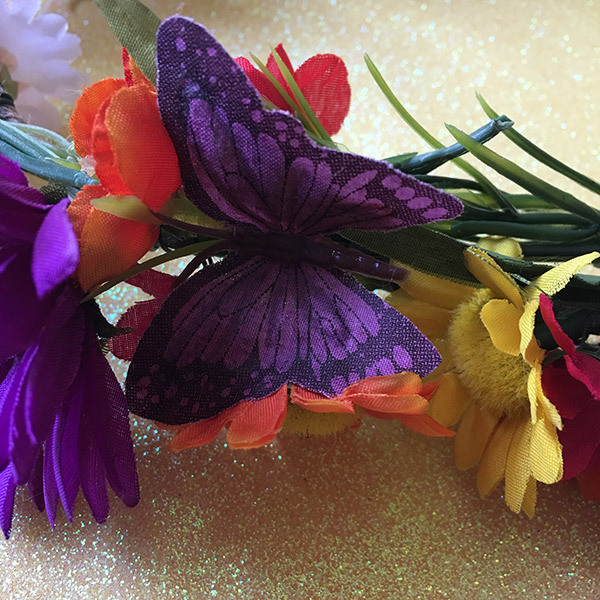 We’re here to show you guys how to make a DIY Flower Crown of your very own, so you can add your own flair to it and even make one to match every outfit in your closet. 1. Pull out a strand of the floral twine and wrap it around your head in the way you’d like your crown to lay. 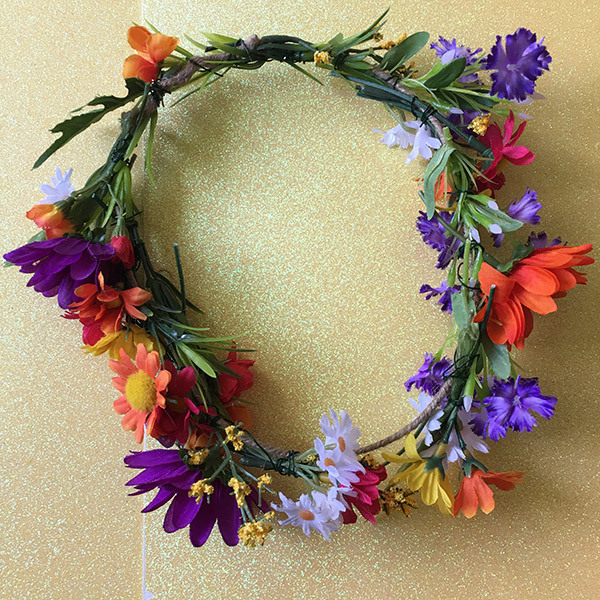 Leave yourself an inch or two of wiggle room on top of that, as your crown will fit tighter once there’s flowers tied to it. 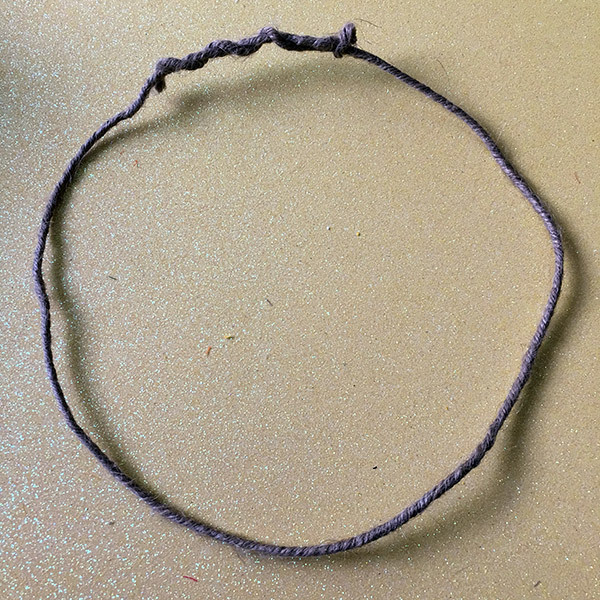 Loosely wrap the end of the twine around itself to make a circle. Double check it still fits your head, and adjust, if it’s too big or too small. This will be your crown base. 2. Using scissors, cut yourself like 10 pieces of the floral wire, around 5-6 inches long. You can eyeball it, because you can always cut more and you’ll be trimming it anyway. 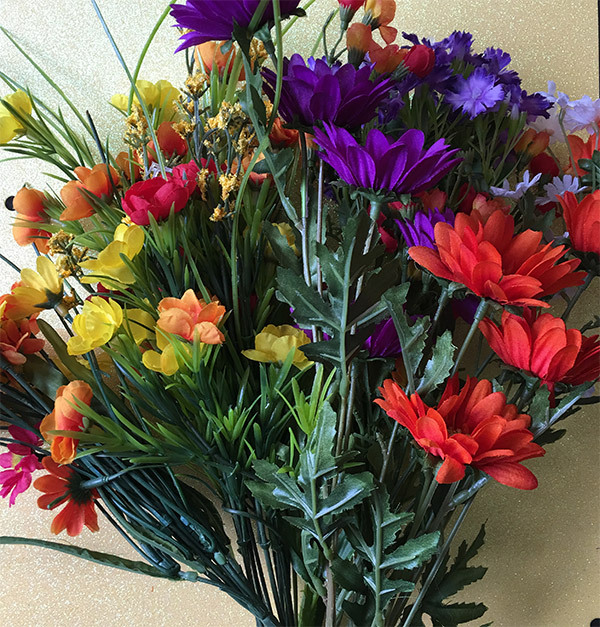 Prepping a few pieces in advance just helps you save time while setting the flowers in place. 4. Look at all your flowers and come up with kind of a plan of the look you want to go for. Do you want to do a pattern (pink, purple, pink, purple, etc.) or will you go more random. Do you want to use only large flowers? Only small flowers? A nice mix? Having an idea in mind beforehand really helps. 5. Take some of the leafy stuff (or whatever you chose as filler) and start near the back of the crown. (Where you twisted the twine earlier). Lay it down on the wire however you’d like it to look, and then wrap the floral wire around the stem and the crown base. 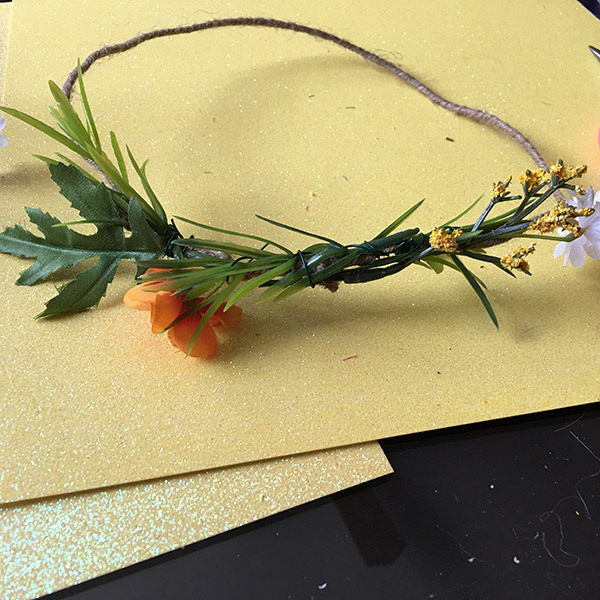 Sometimes it’s easier to make a little mini bouquet (see above) of a few different flowers before you tie it to the crown, so you can mess around with the placement a bit. 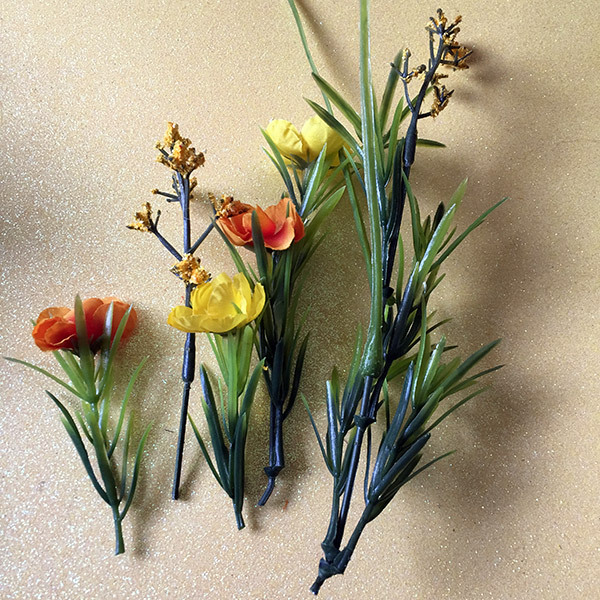 To do that, grab the flowers you want to use, and then wrap the floral wire around it to keep it together. Adjust if needed, then add it to the crown. 6. Continue laying down flowers until the entire base is filled. 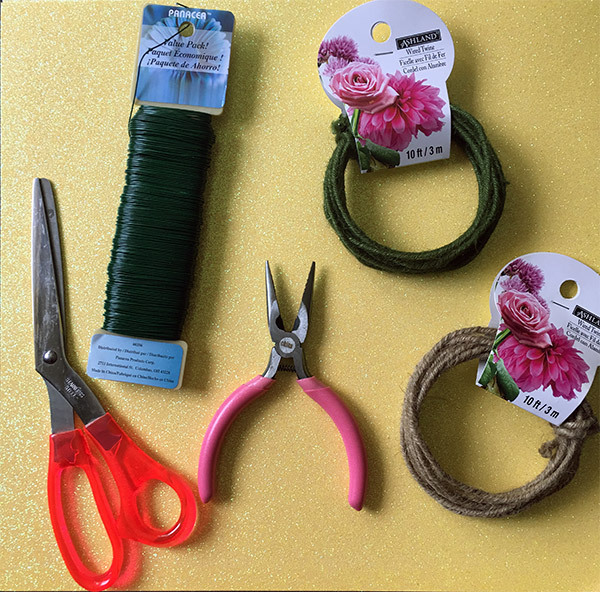 Don’t be afraid to overlap – it’ll make your crown look fuller AND it’ll cover the twine base/any floral wire that may be sticking out. 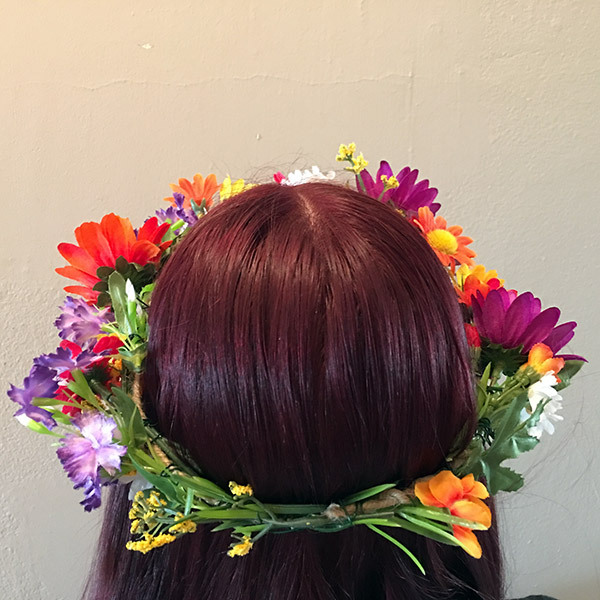 Try your crown on with every few flowers you add and look in the mirror (or your phone’s selfie cam) to make sure you’re happy with how everything looks, and adjust anything you’re unhappy with as you go. It’s pretty easy to move things around, fluff up the flowers, etc to make it perfect. 7. Once your crown is complete, put it on and parade around like the fierce flower princess you are! 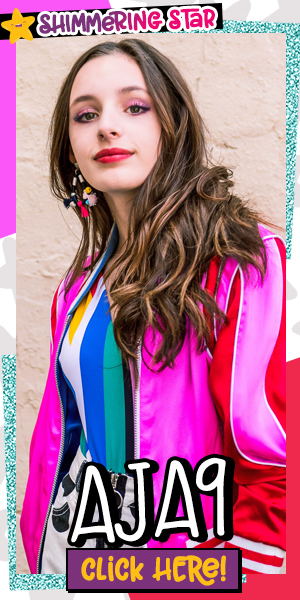 Snap a selfie, make your friends jealous, and head out to your family picnic, an outdoor concert, or anywhere else you want to wear your creation. 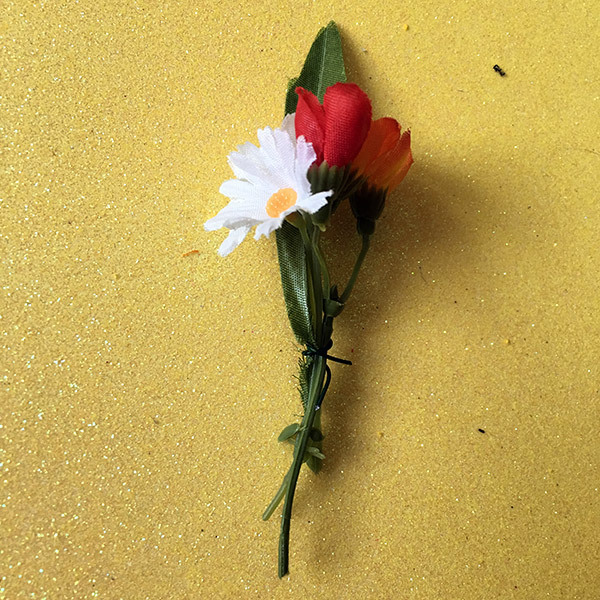 – We recommend using fake flowers for your first crown so you can get a feel for the process. Real flowers are much more delicate, and too much handling can ruin them. Plus, real flowers only last for a day or two, but the fake ones will last forever, allowing you to rewear your crown any time you like! – Flowers aren’t the only thing you can use. If you have something with some kind of stem or wire sticking out of it, feel free to add it to your crown and give it life! 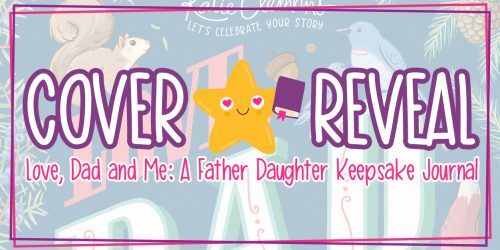 You can even add long pretty ribbons down the back, like a fairy crown, or tie little bows. 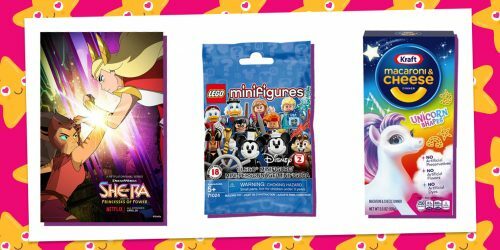 – Want to add a little sparkle? Try adding some star garland to your crown. You can usually find it for under $5, and it’s the perfect way to add shimmer and shine! 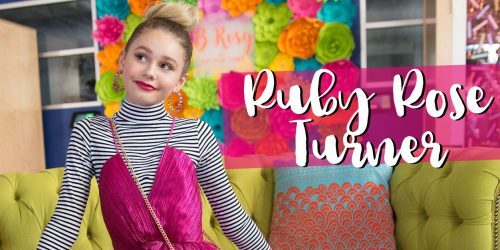 Now that you’re a total flower queen, check out these other fun DIY Ideas!